Dining out with kids can work out to be super expensive but it's something we really enjoy doing as a family. There seem to be a fair few places offering kids eat free deals this Easter so I thought I'd put together a little round-up post as every little helps. Please always re-check details before booking. Let me know in the comments if you've spotted anywhere and I'll update the list. Happy dining! Kids Eat Free when a grown-up spends £10 on food or drink. Kid's meal includes 3 courses, a side and a drink. No booking or voucher required, simply turn up. See here for details. Read our review of Red's True BBQ here. Kids Eat Free when a grown-up orders a 6" meal deal. Kids meals include a 4" sub, drink and snack. See here for details. Kids will receive a complimentary main course from the children's menu when dining with a grown-up who has ordered a main course from the main menu. Must be pre-booked in advance. See here for details. Read our review of The Bridge Restaurant here. Kids Eat Free when dining with an adult who has purchased a main course from the main menu. Children's meal includes 2 courses plus a drink. See here for details. Kids Eat Free when they bring along a grown-up. See here for details. Kids can choose a main course free when dining with a grown-up before 6pm. See here for details. Kids Eat Free this Easter when dining with a grown-up. Download your voucher here. Kids Eat Free when dining with a grown-up. See here for details. 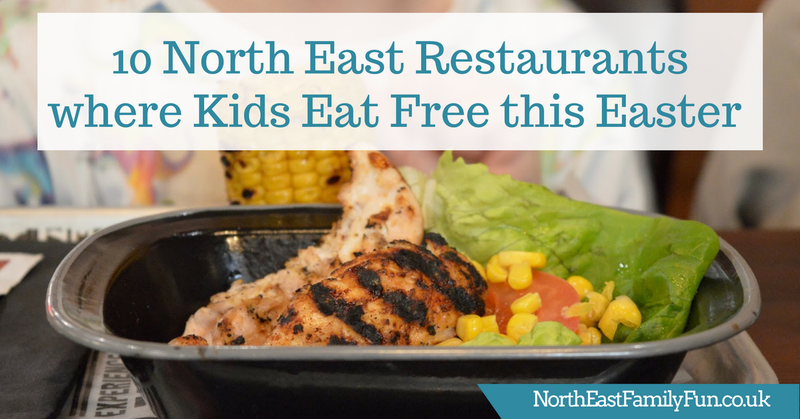 Kids Eat Free when joined by a grown-up dining from the main menu. See here for details. Kids Eat Free Monday -Thursday all day and before 5pm Friday and Saturday. See here for details. Let me know if you've spotted any other restaurants offering a kids eat free deal this Easter and I'll add the details to my list.